A short clip showing our lime mortar being mixed for rebuilding of historic mixed masonry walls. Using Quicklime, sharp sand and brick dust. After many months of work at our Rodney Street project in Liverpool, our exterior plaster reinstatement works are now finished. Painters have a most finished and scaffolding is finally down. One of the first and most important techniques that a plasterer should be taught is the importance and necessity of forming screeds using the dot and screed method. Open up any plastering book from the last 200 years and the method should be explained in the first chapter, although many modern plasterers seem to think it is an old, unused practice there is in my opinion no better way of establishing a truly square and plumb job. This should be one of the first processes carried out before any moulding or rendering is completed. The restoration project we are working on has a lot of in situ mouldings and to achieve the required end result we had to prepare and plumb the building using this method. Pull a string line between these two nails and insert further nails along this line, spaced out at a distance a little less than your straight edge. When the dots feel firm apply a continuous band of material between the dots and rule off with a straight edge using the dots as a guide. Allow the formed screeds to set a little then fill in any imperfections and rub up entire screed with a float to a smooth finish. Ideally we would have liked to have carried out all of the scratch coat and rendering on this job ourselves, after the mouldings were in place, but this had been carried out before our arrival on site so we have to remove and replace some layers of material in order to complete our moulding works. Most of the bench run pieces are now finished and slowly curing so as the weather begins to warm up we have been able to begin setting out and running the first of the in situ mouldings. The gable had been rebuilt following collapse and the moulding shown here was copied from old pictures. 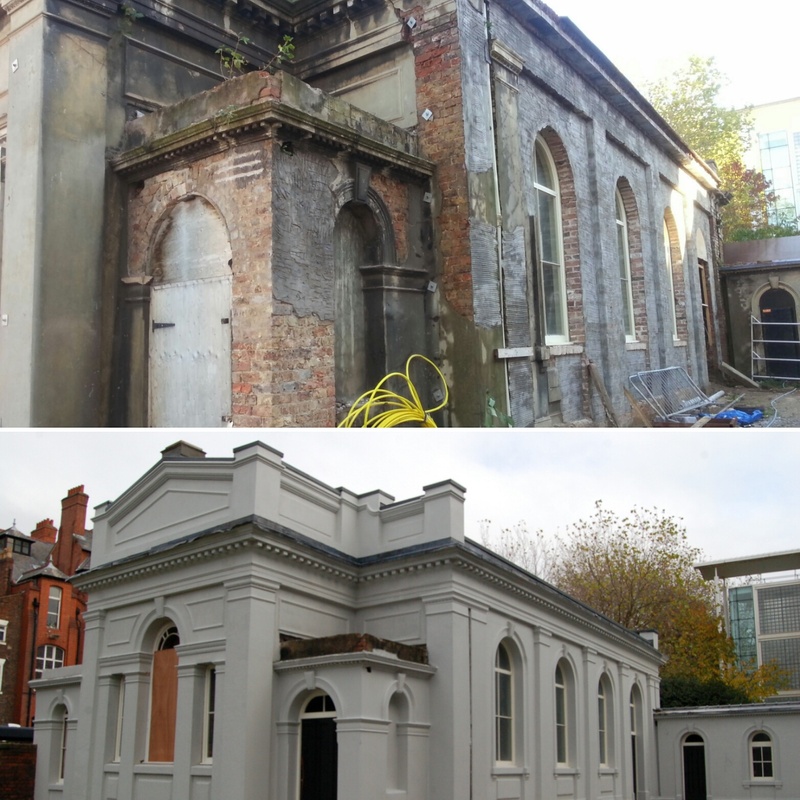 We are pleased to announce that we have now began the long awaited exterior facade repairs at the former Sunday School located within the grounds of St Andrews church, Rodney Street, Liverpool. 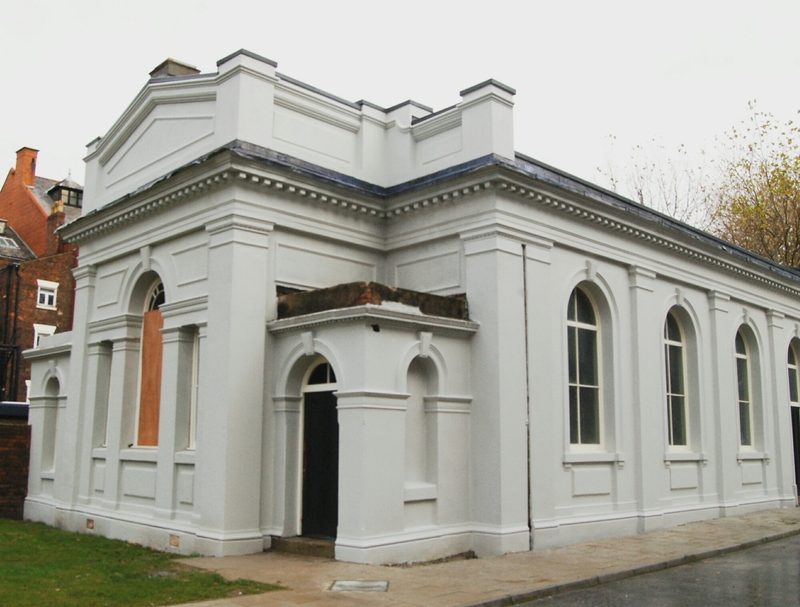 This beautiful italianate building has stood proudly since 1872 and although suffered much neglect in the last number of years it is now being sympathetically restored to its original glory. We will be reproducing all of the missing exterior mouldings and original details of this building over the next few months and updates will be posted as work progresses. via lead anim 1 – YouTube. Here is another accidental discovery that I would like to share. This project was for a bespoke set of inset stone frames for a private client in Cheshire. We matched the colour of the frame with the clients stone walls and we used the silicone mould from our previous post to produce parts for the plaster model. This restoration project was completed in 2014 at an exclusive #luxury watch store in Bond Street, London.